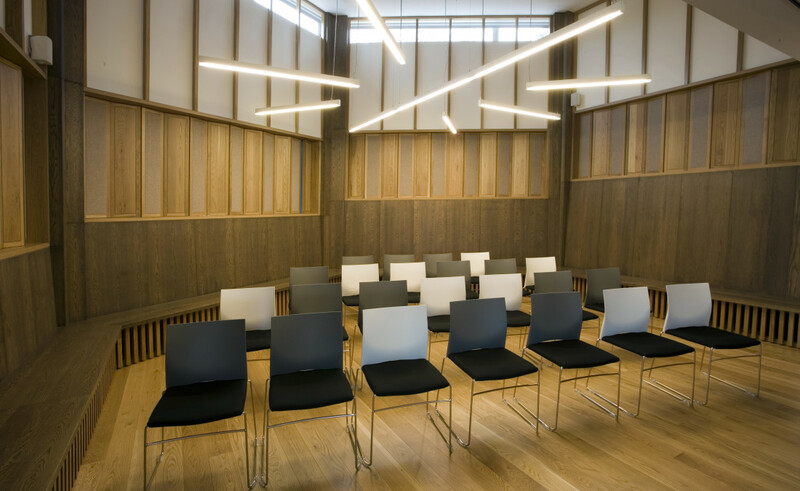 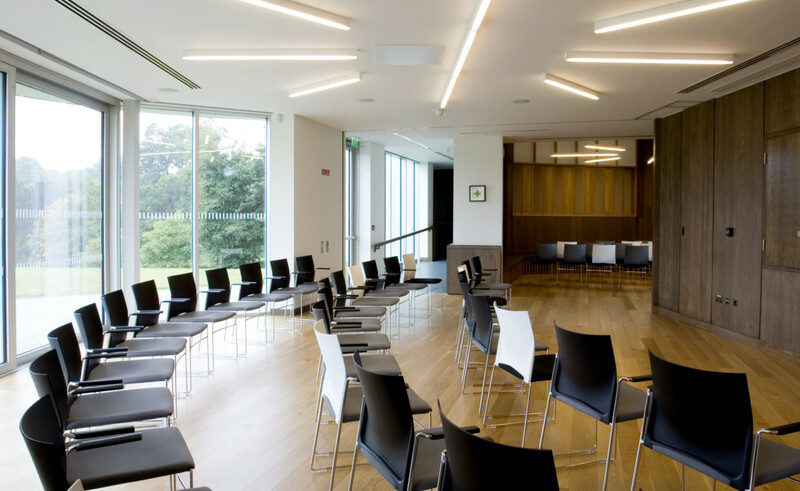 The Centre is located at Holy Faith Convent in Glasnevin and is used as a gathering space for community groups in addition to ecumenical and inter-religious dialogue. 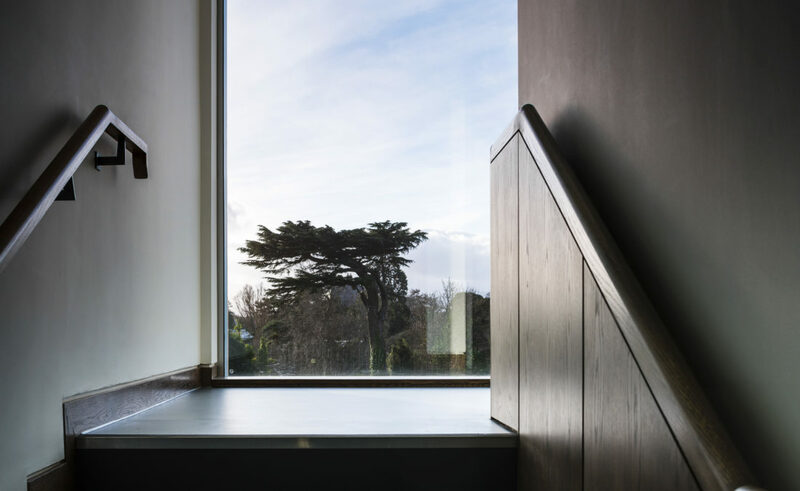 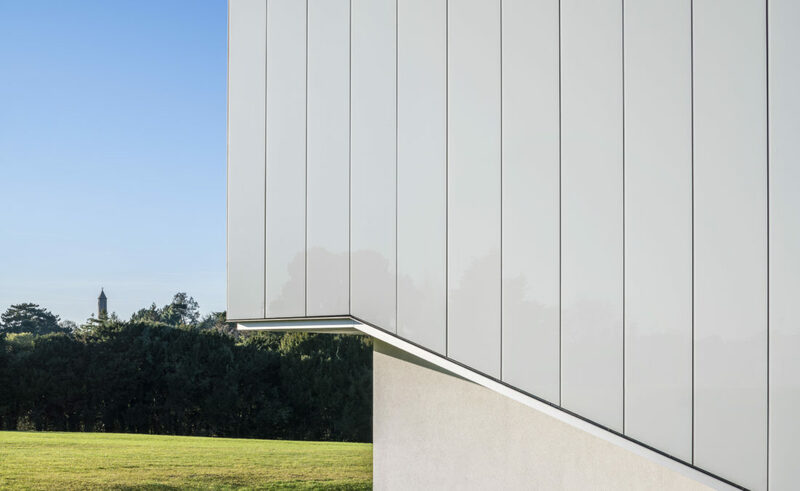 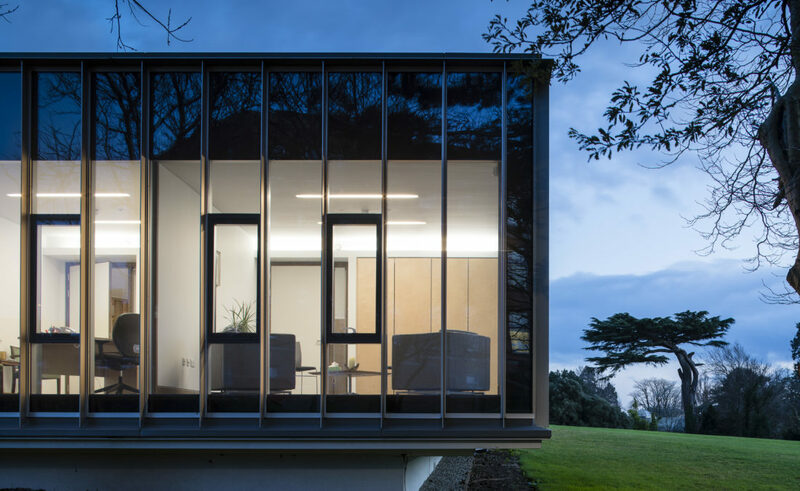 Designed within a unique landscape, it floats above the stunning lawn adjacent to Glasnevin House, overlooking the Botanic Gardens and Tolka river. 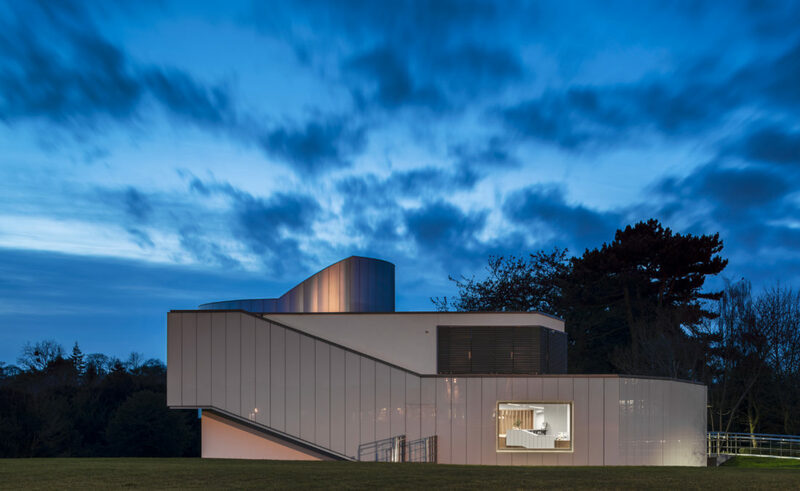 The plan is based on a series of axial routes which wrap around a theatre, sacred space and multi-purpose forum, all linked with ramps and steps. 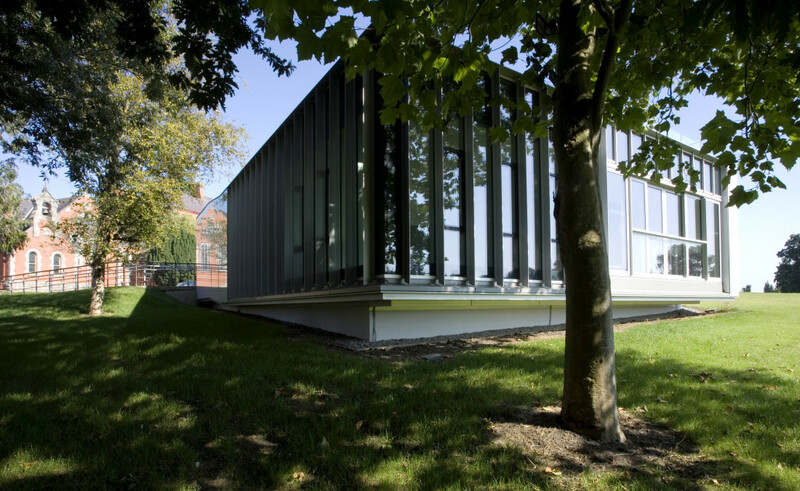 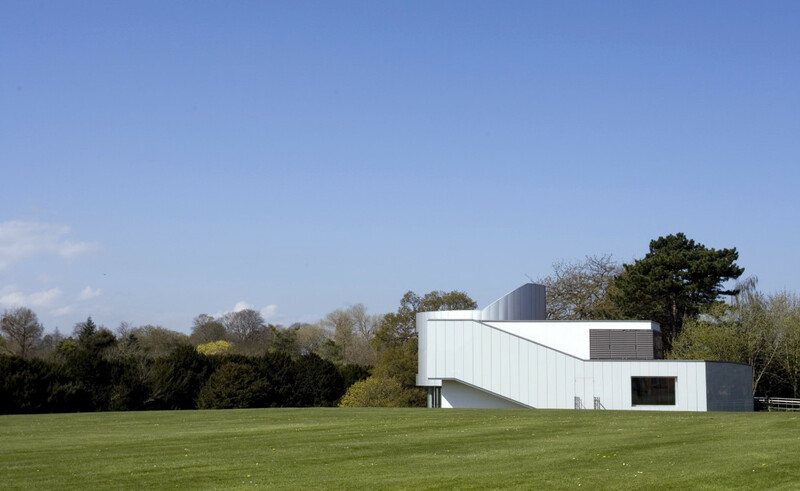 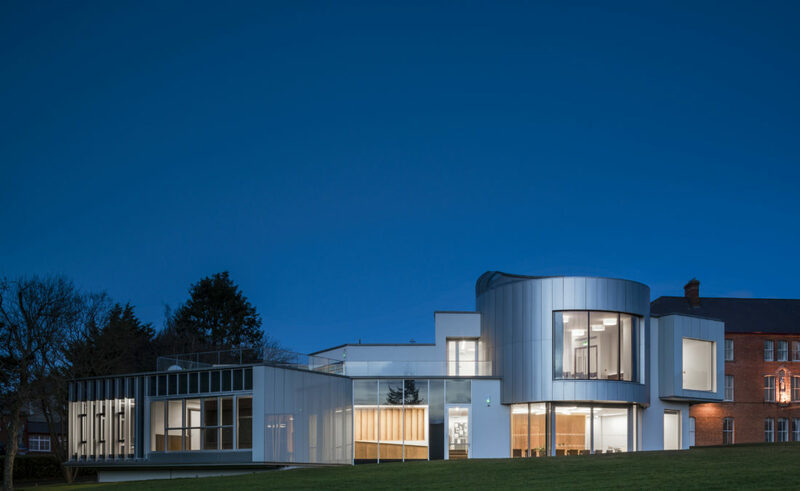 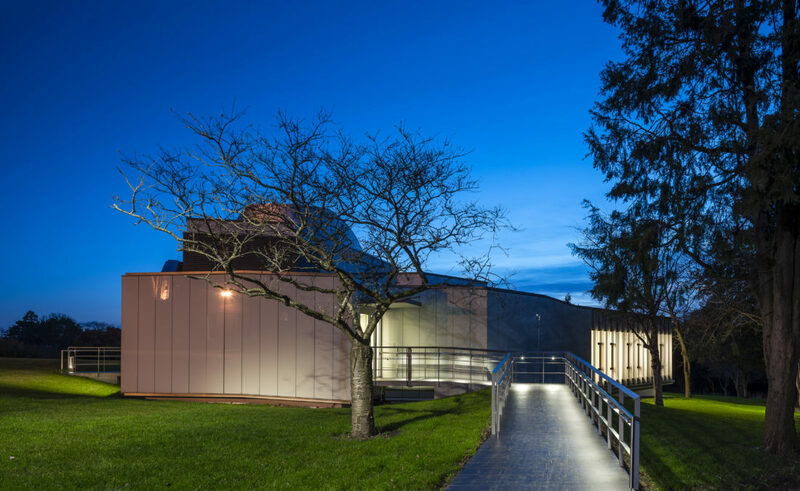 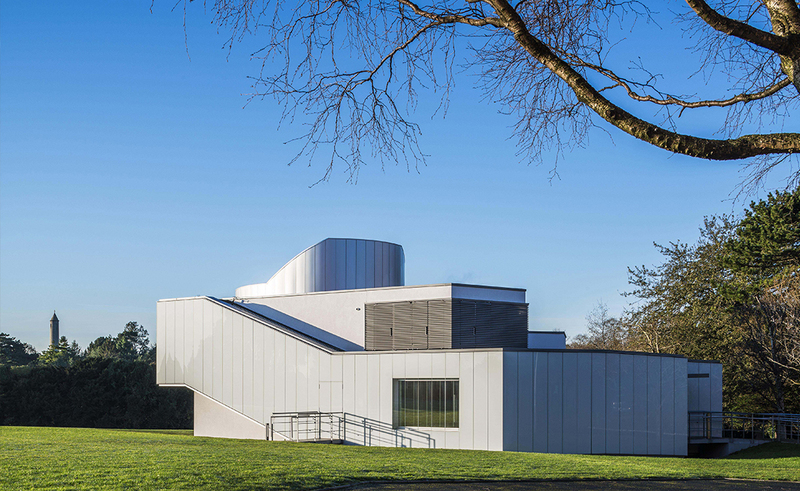 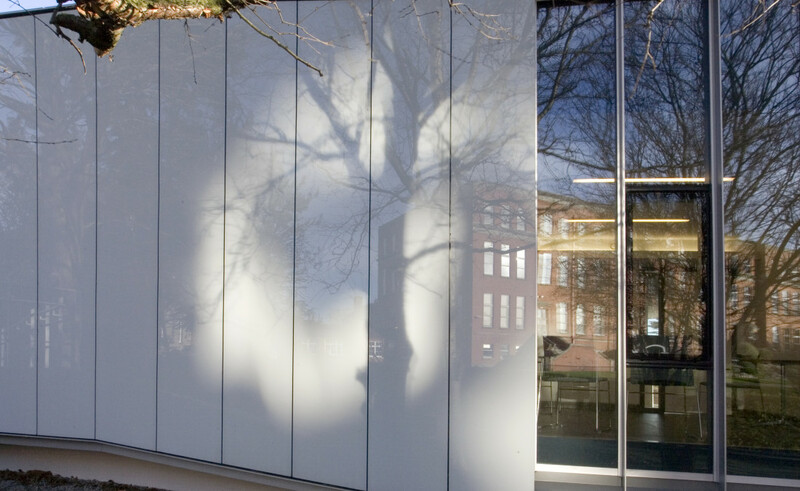 The Centre sits as a pavilion within its historical setting, while the façade is clad in opaque glass to reflect trees, sky, lawn and buildings.